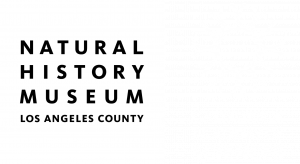 Started in 2016 for the first-ever Citizen Science Day, the citizen science teams at Natural History Museum of Los Angeles County and California Academy of Sciences dreamed up the City Nature Challenge as a fun way to capitalize on their home cities’ friendly rivalry and hold a citizen science event around urban biodiversity. The first City Nature Challenge was an eight-day competition between Los Angeles and San Francisco, engaging residents and visitors in documenting nature to better understand urban biodiversity. Over 20,000 observations were made by more than 1000 people in a one-week period, cataloging approximately 1600 species in each location, including new records for both areas. During the 2016 CNC, we heard so much excitement and interest from people in other cities that we decided we couldn’t keep to the fun just to ourselves. In 2017 the City Nature Challenge went national, and in 2018, the CNC became an international event! 599 rare / endangered / threatened species documented! San Francisco swept all three categories with 41,737 observations, 3,211 species, and 1,532 participants. 392 rare / endangered / threatened species documented!